Large scale charity gala show Drought Relief — We are taking action which was joint telecast by Guangdong TV, Dragon TV, Hunan TV, Jiangsu Broadcasting Corporation, Anhui TV, Phoenix TV and 13 other TV stations together with ent.qq.com was held in Beijing on 3 April. 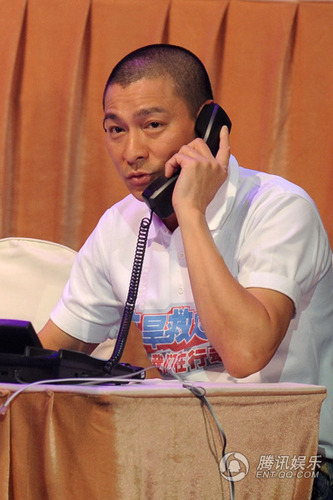 Andy Lau, Jackie Chan, Nan Ying and close to 100 artistes came to show their support, the gala managed to collect donations total up to $277 million from audience and public. 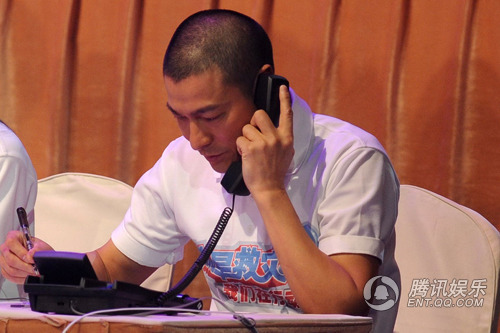 Andy doubled up as telephone operator and sang ‘Zhong Guo Ren’ as he coughed on tears several times while singing.